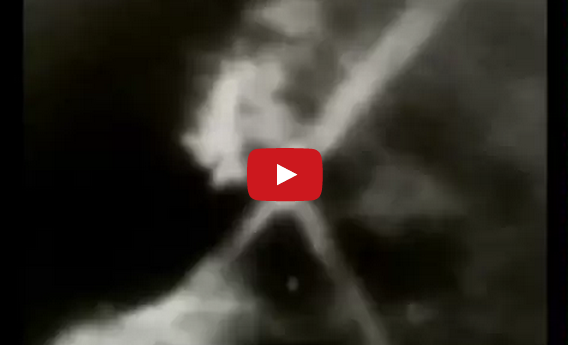 MUST SEE 1942 Los Angeles Alien Invasion. The Battle of Los Angeles, also known as The Great Los Angeles Air Raid, was a barrage which took place from late February 24 to the early morning of February 25, 1942 over Los Angeles, California. Initially, it was thought to be an attack from Japan, but after speaking at a press conference shortly after, Secretary of the Navy Frank Knox called the incident a “false alarm.” According to Wikipedia, newspapers of the time published a number of reports and speculations of a cover-up. Some modern day UFOlogists has suggested the targets were extraterrestrial spacecraft. The flying speed of the object was said to be “very slow”. These mysterious forces dropped no bombs and, despite the fact that 1,440 rounds of antiaircraft ammunition were directed against them, suffered no losses. Residents in a 40 mile arc along the coast watched from hills and rooftops as the play of guns and searchlights provided a frightening show. A photo published in the Los Angeles times on February 26, 1942 has been cited by modern-day conspiracy theorists and UFOlogists as evidence of an extraterrestrial visitation. 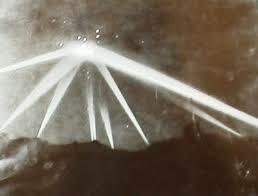 They insist that the photo clearly shows searchlights focused on an alien spaceship. Photo Of Pluto: A Historic Moment In Space!